Are we getting closer to a baldness cure? The latest research shows a positive outlook. While working on rare genetic tumor-causing disease, researchers from UT Southwestern Medical Center accidentally discovered a group of cells that are responsible for hair generation and turning hair grey. If you remember, Rogaine – the only FDA-approved topical hair regrowth treatment – was also a happy side-effect discovery from a high blood pressure medication. The protein researchers found is called KROX20. 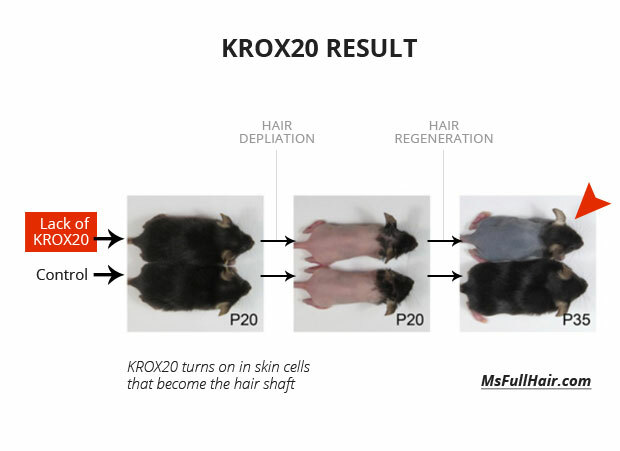 To make it simple, When KROX20 is present, skin cells become the hair shaft. These hair cells then produce another protein called SCF (stem cell factor) which is responsible for adding pigment to your hair (black, brown, blonde, etc). To validate these protein activities on hair cells, scientists first removed KROX20-producing cells from mice. This resulted in no more hair growth and eventually caused baldness. 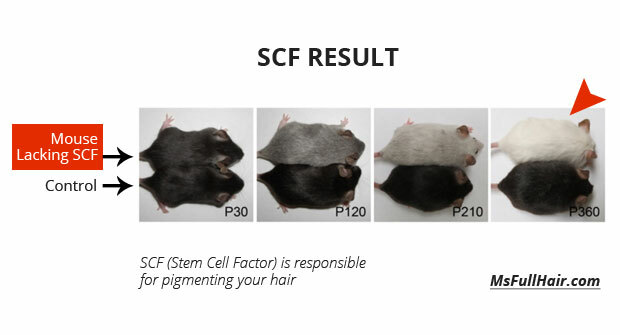 When scientists removed the SCF genes on mice, this turned mice hair colors into white as they age. What’s significant about this research? 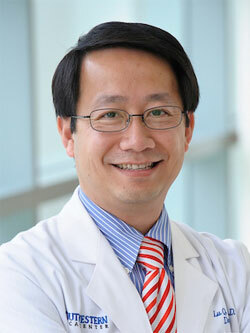 Dr Le acknowledges that it is already a known-fact that stem cells from the bulge area of follicles are responsible for generating hair, but they didn’t know the details on which cells. 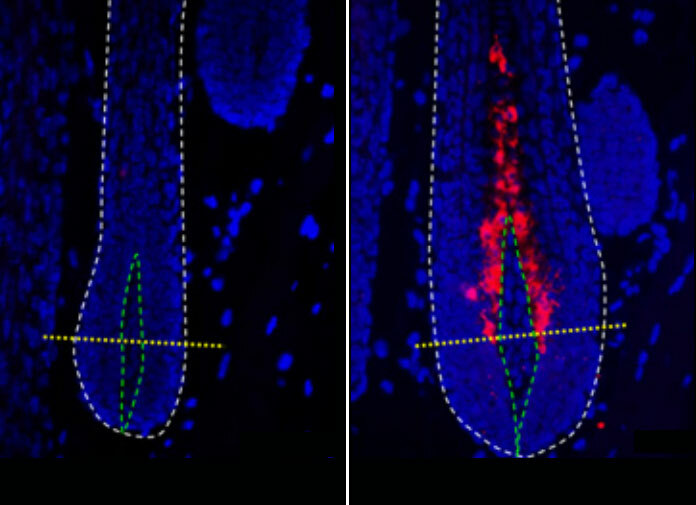 So what’s meaningful about this hair regrowth discovery is the identification of SPECIFIC cells in the hair follicles that produce SCF (Stem Cell Factor) and KROX20 protein roles in relation to producing hair shafts or hair strands. The scientists plan to continue their research on these hair regulating proteins, as well as how these proteins react as aging occurs. The good news about this research finding is that we are one step closer to a potential baldness cure by identifying the specific proteins that are responsible for hair generation and greying. While this still appears to have a long way to go to become a marketable medication as hair loss prevention or hair regrowth treatment, it will no doubt spark interest in pharmaceutical companies as a big part of their ongoing hair regrowth research. We will keep you updated – Subscribe below for any future news on this or any other hair regrowth research and news!